Most of the hogs I had that were young have now been released, but many of the old ones are staying. I still see some of the young ones at night in the garden, mainly in the feeding station. But I think one of them has disapeared to some place else. Nice to see hogs go back into the wild, hopefully most of mine will go back this week. One will return to the garden where it was found as she wants it back. Did check garden and it was a great garden for hogs. I have six boys and one girl, didnt know I had a girl and she been in a run with one of the boys. There are two wild ones feeding in the feeding stations a male and a female so hopefully some more young this year. Good luck with that, it's nice to have young ones in the garden, a breathe of fresh air. 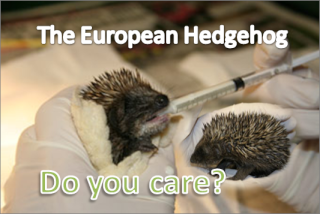 It's a bit sad when we're empty of prickles, but also good that none need our help (that we know of). Good luck with the remaining 3 in your care.